Expert information and solutions for your business. Earlier this year, we shared information with you regarding the use of Unmanned Aircraft Systems (UAS), or drones, for commercial use. Regulations and guidance from the Federal Aviation Administration (FAA) has been confusing, even frustrating, for many companies who were looking to integrate this emerging technology into their operations. Thankfully, new rules from the FAA make commercial drone use significantly easier. The UAS Part 107 rules, effective August 29, still require UAS owners to register their drones, but it eases some of the more burdensome restrictions. Companies will still need to apply for waivers for flights that are outside or beyond these parameters. The most common waiver is expected to be in the area of night operations. Similarly, guidelines for commercial drone operators have been loosened under the recently implemented FAA rules. Operators will no longer be required to hold a sport or recreational pilot license; they now only need to pass a written exam. What’s on the Horizon for Commercial Drone Use? With the loosening of restrictions, the FAA expects up to 600,000 drones to be used commercially within the next year – up nearly 30x from the 20,000 drones registered for commercial use when the new rules went into effect in August. The FAA equates that to an estimated $82 billion for the U.S. economy and 100,000 new jobs over the next 10 years. As far as further regulations, the FAA is now working on rules that will even further increase the potential commercial uses of drones. New rules are expected by the end of the year that will provide guidance regarding flights over people and beyond the operator’s line of sight. 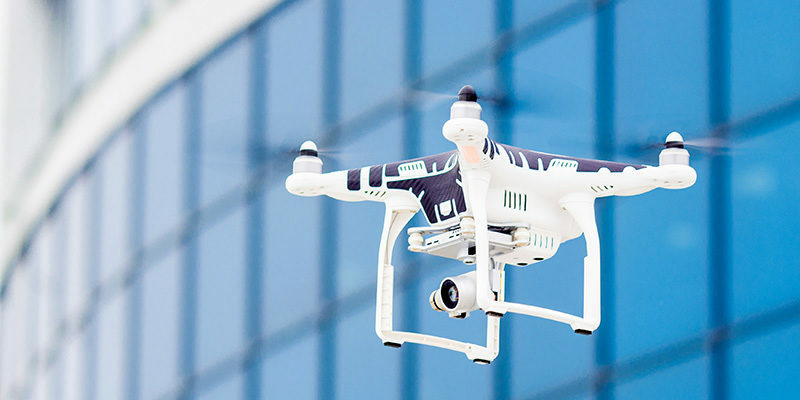 If you are investigating using drones in your business, a Scott Risk Advisor can help you evaluate the risks to your enterprise and suggest coverage that is appropriate. David Sciortino serves as the branch leader and a commercial risk advisor in Scott’s Nashville office. He specializes in proactively advising commercial companies in the area of insurance and risk, helping them drive down their total cost of risk and improve their culture of safety. Call David at 615-224-2648 if you have questions or need additional assistance. Get caught up easily by going back in time with our Scott Blog archive. Discover more Performance Thinking through a Scott seminar or webinar. Click here to view our upcoming offerings. © Copyright 2011-2019 Scott Insurance. All Rights Reserved.